The British Birdwatching Fair has revealed this year’s project: protecting Western Siem Pang, a haven for five Critically Endangered bird species. You’ve heard of Africa’s Big Five – now ready your binoculars for Cambodia’s Big Five. Follow the tracks of the swamp-dwelling Giant Ibis by far the world’s largest ibis, as it casts an imposing shadow over the shallow waters in which it forages. 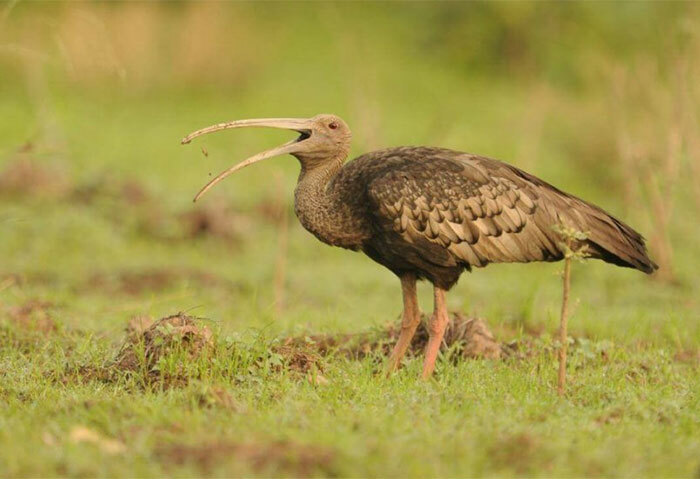 Prime your ears for the mournful call of the White-shouldered Ibis, a gargantuan wader with a taste for invertebrates lurking in cracks in the dry ground; cracks this birds’ powerful down-curved bill is easily able to infiltrate. And then, circling overhead ominously, could be any one of three species of Critically Endangered Asian vulture; White-rumped Vulture, Slender-billed Vulture or Red-headed Vulture. These iconic scavengers have been brought to the edge of extinction by the widespread use of a veterinary drug administered to cattle but lethal to vultures who later feast on their carcasses. Five fantastic beasts of the avian kind; each spectacular enough to make even a seasoned birder sing. And the fact that all five are Critically Endangered – thus putting them among the rarest and most threatened species in the world – only adds to their mystique. Normally, you’d have to travel far and wide for a chance of glimpsing five Critically Endangered species – but there is a place with one of the highest concentrations of globally threatened species in the world, where all the above can be found. That place is Western Siem Pang, Cambodia, a sprawling expanse of deciduous and semi-evergreen forests, through which the Sekong River flows. However, this vital forest habitat is under dire threat from the spread of human activity, such as land clearance, persecution and the grazing of livestock. Prior to 2016, the threat of a large-scale agriculture plantation could have obliterated this site altogether. Thankfully, BirdLife’s advocacy helped to get it declared a Wildlife Sanctuary and put a stop to the plans for a land concession. But it won’t just be about laying down the law. This year’s project will seek to build a sustainable future for this irreplaceable habitat by engaging local communities living around the forest who are dependent on its resources for their own livelihoods, and empowering them to shift to more environmentally-friendly practices. 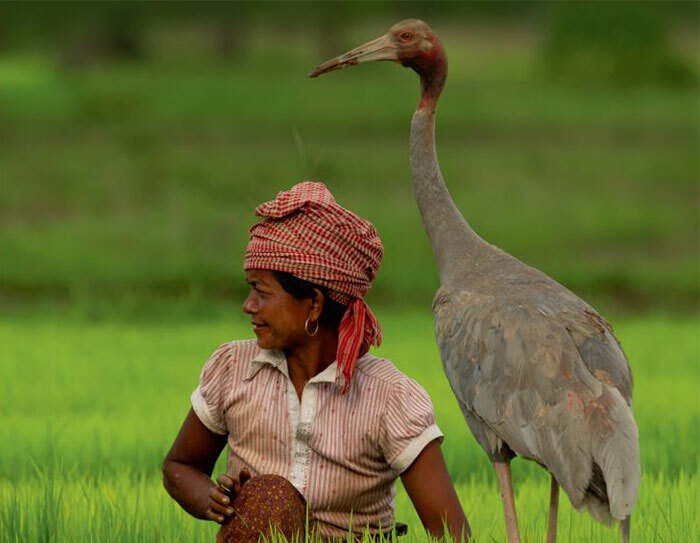 This work includes the expansion of existing wildlife-friendly farming initiatives – for example Ibis Rice, which offers farmers premium prices for their rice crop in return for a ‘no hunting, no logging, no encroachment’ pledge. These efforts will be accompanied by monitoring and conservation activities designed to help us better understand the ecology of these species, and how they are affected by encroachment, so we can more effectively protect them in the future. This ambitious project follows in the footsteps of last year’s ‘Mar Chiquita – A Haven for Argentina’s Flamingos’ project, for which Birdfair raised £322,000 towards the creation of what will become Argentina’s largest National Park. Since its formation in 1989, the British Birdwatching Fair has donated its proceeds to a global project chosen and managed by BirdLife International. In total, the fair has now raised over five million GBP towards conservation causes. Last year, Birdfair celebrated its 30th anniversary and to celebrate, we recapped the first 30 years of Birdfair-funded projects, all of which continue to this day.